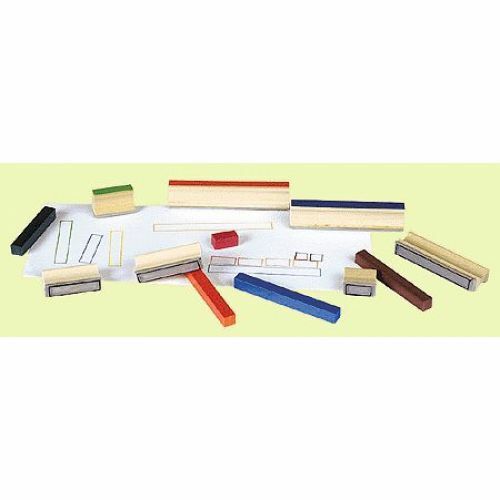 Cuisenaire� Rod Stamps match the ten Cuisenaire� Rod lengths with this set of ten stamps. The tops are color coded for easy identification. Use them to record and extend rod activities. These essential math manipulatives introduce a variety of math topics to the classroom. Each set of 10 different color rods differ in length by 1 cm, offering visual and tactile confirmation of math concepts.